We have had success through our introductory classes although they take fifteen weeks and a full faculty member’s time. Through the Experimental Humanities program, we have taught students some computing through a multi-week hypertext module in our Intro to Media course. Students write and close-read HTML within the context of McLuhan and Benjamin. Our students have also run popular hour-of-code activities the past two years. All of these directions were promising. Involving all of Bard’s students meant three potential venues: Language and Thinking, Citizen Science, or a new distribution requirement. We decided Language and Thinking was the right venue. Computing has value beyond the sciences, and supplying students with the power of real computing at the start of their college experience seemed like a terrific opportunity. Language & Thinking is an intensive writing program taken by all incoming students held during the three weeks before the first semester. So we (Sven and I) hired two great Bard computer science students (Diana and Katie, that you absolutely must admit to your graduate program or hire) to materialize this vision into reality. In the end, we decided on a two-pronged strategy: inside-of-class activities involving markup and networking, and outside-of-class aspirational/improvisational activities that focused on algorithms and applications. The in-class activities, led by the L&T faculty, connected with anthology readings of Borges and Bush: on the power and potential of branching narrative and associative knowledge. Students would create a series of webpages using jsbin which ultimately led to an HTML free-write. Our hope was that the L&T faculty would find this new found hypertext facility empowering and lead to great things: interactive fiction, hyper-linked anthologies, annotated bibliographies, and literature experiments. An optional follow-up unplugged activity was meant to showcase the power of the hyper-link by physically simulating Google’s PageRank. After students randomly linked to their peers, these random networks were visualized (via yarn), reorganized and ranked via passing coins (physical wooden nickels, in our case) around the network. This simulation shows how Google’s PageRank authority attribution algorithm actually works. Links not only associate knowledge, but also attribute authority and power. Our out-of-class coding studios involved many of the topics in our introductory courses: the physical (robotics), the visual (processing graphics), the textual (digital humanities). Students were invited to make online reservations for a two-hour block. The studios were limited to 10 students (14 in reality) with 2-3 student instructors per session. Our student instructors in the coding studios were great. Our students that developed the markup & networking materials were great. They really got the not-so-evangelical mission: not necessarily to convert, but to teach. As one of our student instructors remarked, “You do not have to like it, but you should at least understand it” where /it/ was computation, and the /you/ was student (and faculty). Also, jsbin was a great tool for getting students up and going on the web in minutes. It had its complications, but compared to other tools we surveyed we found it very friendly. The logistics of signing up 500 students to the coding studios, and making sure the pre- and post-surveys were administered was surprisingly complex. This should be easy to fix in the future. Having the Language and Thinking faculty teach the in-class activity was a gamble. A calculated gamble we intended to make. Having instructors that students identify with, especially as computing non-experts, would go a long way towards an authentic, empowering computing experience (or so we thought). On the Saturday before L&T started, we did a faculty workshop. We tried to teach the workshop from a perspective of little knowledge of HTML to simulate the experience of the L&T faculty. In hindsight, maybe it was too light handed, maybe it was condescending. The faculty workshop needs to be improved. Also, we might have to accept that some L&T faculty are just not comfortable leading technical workshops and build in support for them. Exactly the same day we did our HTML workshop, Bernie Sanders spoke in Seattle. Sen. Sanders, the Vermonter voice of the working class, was interrupted by #BlackLivesMatter. Despite his record as a progressive, he was confronted by #BlackLivesMatter to bring racial inequity to the forefront of the presidential race. The above comic by Kris Straub popped up on my twitter feed soon after. The humanities are under threat, they are on fire nationwide. Spraying the fire-hose, precious drips from the garden-hose — whatever the metaphor — on anything but the humanities when the house is on fire can be seen as outrageous, even offensive. We should have taken this perception and reality more seriously. Of course, I believe in Bard’s devotion to the arts and humanities, especially Language and Thinking. Folks, I feel the burn, …, the bern. 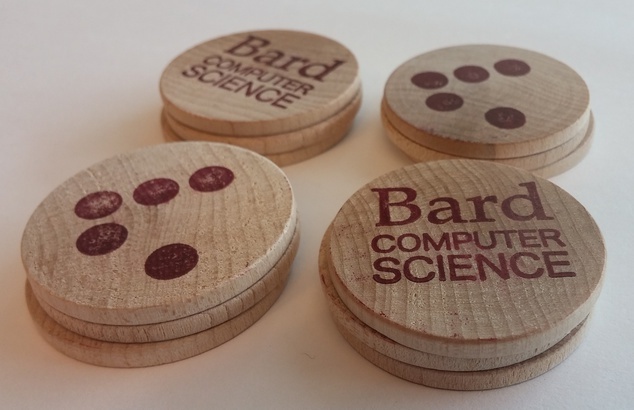 I am at Bard for a reason; I teach CS at Bard for this reason. But as a computer scientist I should have made that case better. We (the liberal arts) need to be relevant, including learning new tools to amplify our voices, amplify our thought, engage in informed criticism, and perhaps, to subvert.